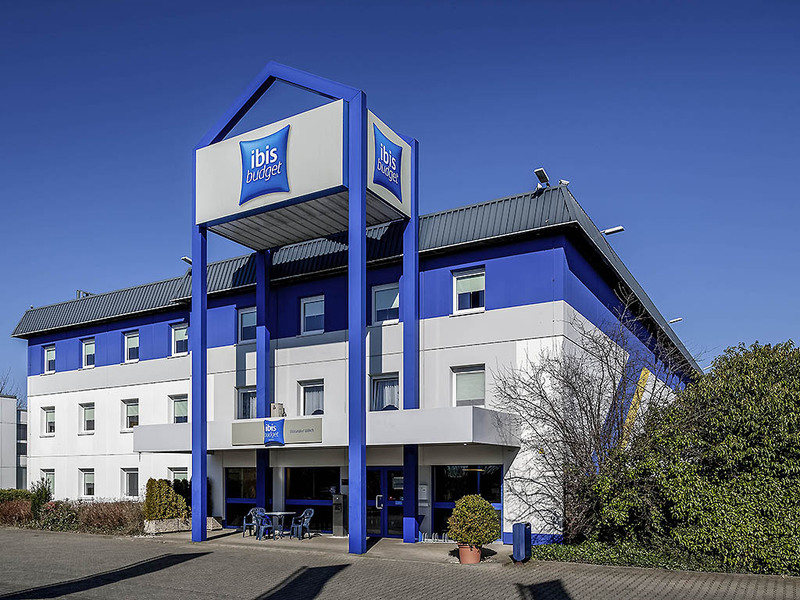 Hotel ibis budget Duesseldorf Willich. Book now! Free Wifi! I stayed at this hotel as it was quite close to Dusseldorf Airport and my flight came in late in the evening. It was a standard Budget Ibis Hotel, although I thought the signage was quite poor, and I wasn't sure where to park. Fortunately SatNav found it for me. this hotel is more like a &quot;Jugendherberge&quot;. The rooms are extremely sparse - there is no dresser to store cloths, only a pitiful little space to hang cloths with 6 hangers - only two shower towels - no hand towels or wash cloths - no hairdryer (had to get one at reception for 10Euros down :( ). We had to get extra shower towels at reception and one extra pillow. Also when the beds were made only the blanket was straightened out - the pillows were not touched - what kind of making the bed is that. The only highlight was breakfast - plenty to choose from and fresh. Personnel should have customer education - polite but you always felt you were disturbing them - too much to ask :( We will definitely not take this hotel again. Basically everything was OK, except TV programmes available. Nice people at reception desk, place quiet, clean and tidy. To be fully ok, you should have one more TV programme in Polish available. TV Polonia currently available is state-owned TV containing mainly political propaganda. For to make choice for your polish-speaking customers please consider attaching one of two channels: TVN24 or PolsatNews, having much more trusty content. It was good, the beeds are confortable, and the room had every confition needed. Room was clean and the breakfast was good. Very friendly staff, all was well. It was a great visit and I will come back again ! All important basics were well done. Bed and shower was ok. Breakfast is high quality and worth for the money!